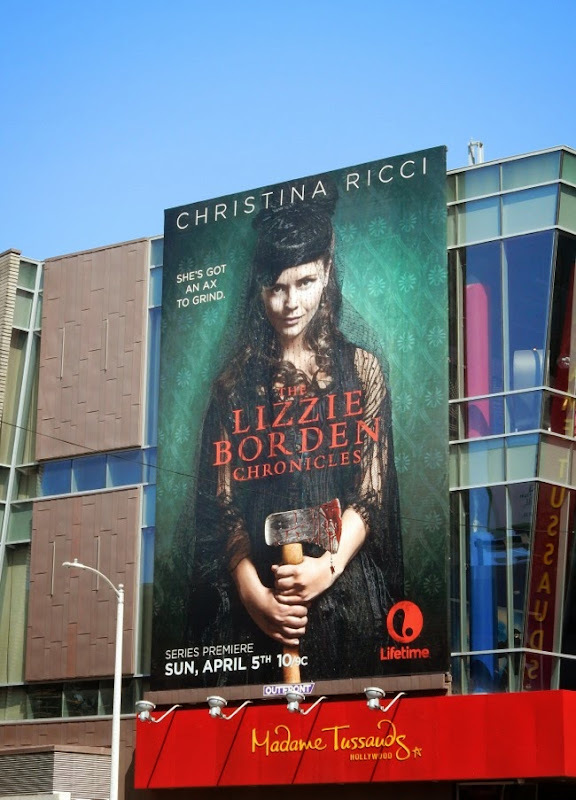 "Lizzie Borden took an ax, and gave her mother forty whacks, and when she saw what she had done, she gave the father forty-one". 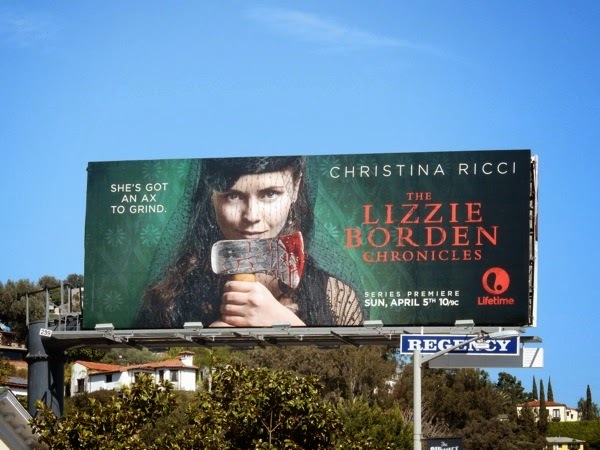 Obviously this infamous murder suspect still has an ax to grind, as Christina Ricci reprises her titular grisly role in The Lizzie Borden Chronicles, the limited series follow-up to the Lifetime biopic, Lizzie Borden Took an Ax from January 2014. 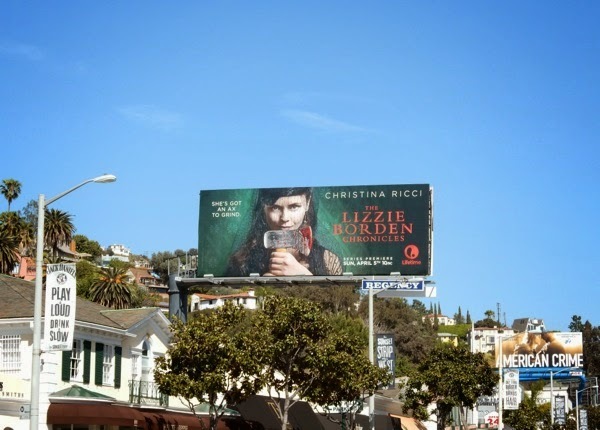 Daily Billboard loves the emerald green used in the background design for this new Lifetime series ad creative, as it gives the ax-weilding actress an even more wicked demeanor and helps the blood red stand out too. 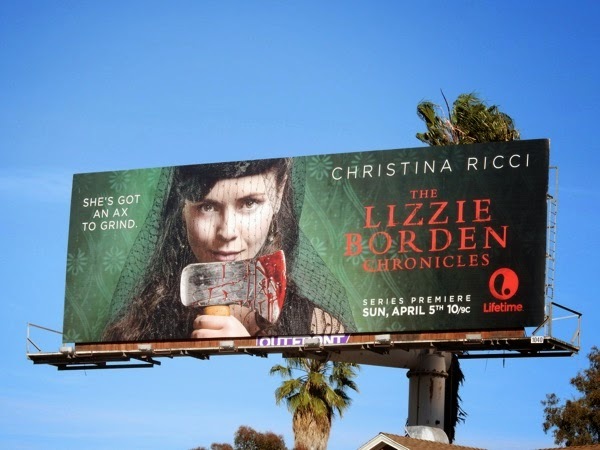 This eight-part series follows the events of the TV movie, which was based on the true story of the Sunday School teacher in Fall River, Massachusetts who took a hatchet to her father and step-mother one hot summer day in 1892 and was famously put on trial for their murders. 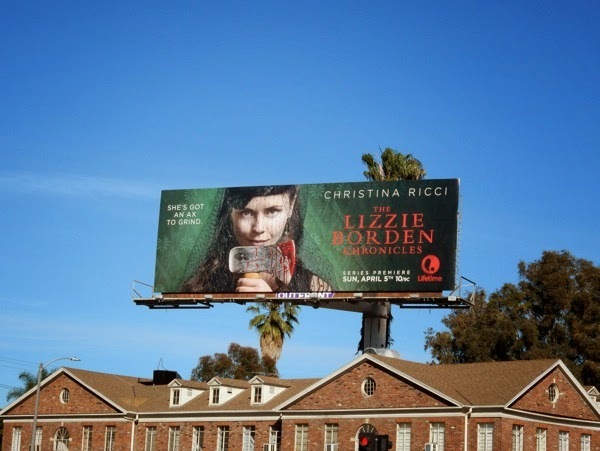 The show picks up after the woman is controversially acquitted of the double murder, when the jury found her innocent, unable to believe she could commit such brutal atrocities, with Clea DuVall also returning as Lizzie Borden's surviving sister, 'Emma'. 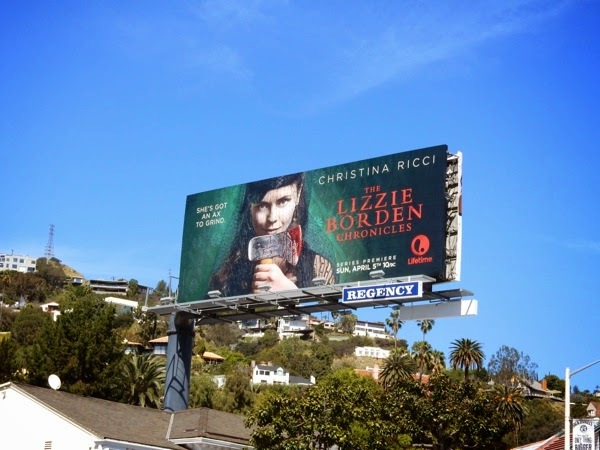 These killer billboards for The Lizzie Borden Chronicles were snapped at the busy intersection of San Vicente Boulevard and Wilshire Boulevard on February 24, and later above Sunset Plaza on March 4, 2015. 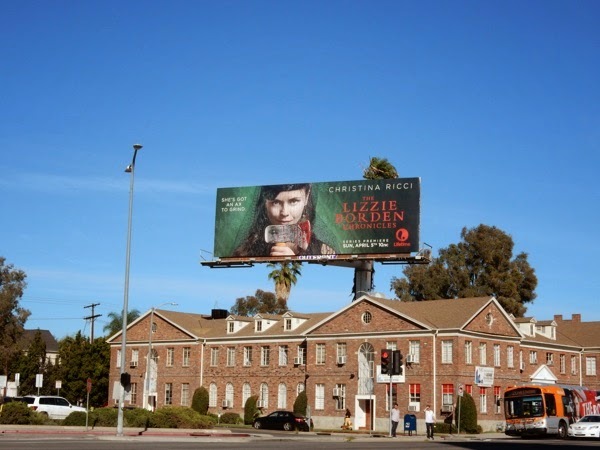 If you're fan of the actress, be sure to also check out these Pan Am season one billboards from 2011. 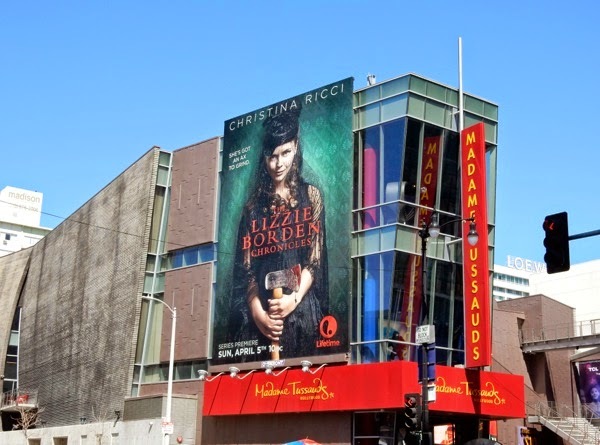 UPDATED: Here's another fiendishly eye-catching billboard for the new Lizzie Borden series spied along Hollywood Boulevard on the side of the infamous Madame Tussauds waxwork museum on March 23, 2015.